Diet-induced changes in the gut's bacterial ecosystem can alter susceptibility to an autoinflammatory bone disease by modifying the immune response, St. Jude Children's Research Hospital scientists reported. The findings appeared in an advanced online publication of the scientific journal Nature. The research provides insight into how the thousands of bacteria and other microorganisms that live in the intestines affect health. The microbes make up the intestinal microbiome, a diverse evolving ecosystem that aids digestion and helps to educate the immune cells that guard against infection. Growing evidence suggests that changes in the microbiome composition may contribute to development of diseases ranging from cancer to chronic inflammatory disorders such as multiple sclerosis. The mechanisms involved, however, were poorly understood. "These results are exciting because they help to explain how environmental factors like diet can influence susceptibility to autoinflammatory diseases," said the study's corresponding author Thirumala-Devi Kanneganti, PhD, a member of the St. Jude Department of Immunology. "While multiple lines of evidence have suggested that diet can impact human disease, the scientific mechanism involved was a mystery. Our results demonstrate that diet can influence immune-mediated disorders by shaping the composition of the gut microbiome, which our findings suggest play a role in immune regulation." The study was done in a mouse model of the devastating inflammatory childhood bone disorder chronic recurrent multifocal osteomyelitis (CRMO). The mice carry a mutation in the Pstpip2 gene that leads to osteomyelitis early in life. Researchers showed that changing the nutritional composition of the animals' diets led to marked increases and decreases of certain intestinal bacteria. Affected bacteria included Prevotella, which have been implicated in causing osteomyelitis, arthritis, periodontal disease, and other inflammatory disorders in humans. A diet that limited intestinal Prevotella growth also protected the mutant mice from developing osteomyelitis. The same diet was associated with reduced production of the immune molecule interleukin-1beta (IL-1beta) that promotes inflammation. Earlier work from Kanneganti's laboratory demonstrated that IL-1beta fueled osteomyelitis in the mutant mice. In this study, researchers reported that dietary changes impacted the supply of IL-1beta in immune cells called neutrophils. To confirm the connection between the intestinal microbiome and osteomyelitis, researchers treated mice that were fed the disease-promoting diet with a cocktail of broad-spectrum antibiotics. Treatment was followed by a reduction in Prevotella as well as intestinal levels of IL-1beta. In addition, fewer mice developed osteomyelitis. In a series of probiotic experiments, investigators demonstrated that transplanting the intestinal microbiome from healthy mice protected the at-risk, mutant mice from osteomyelitis. 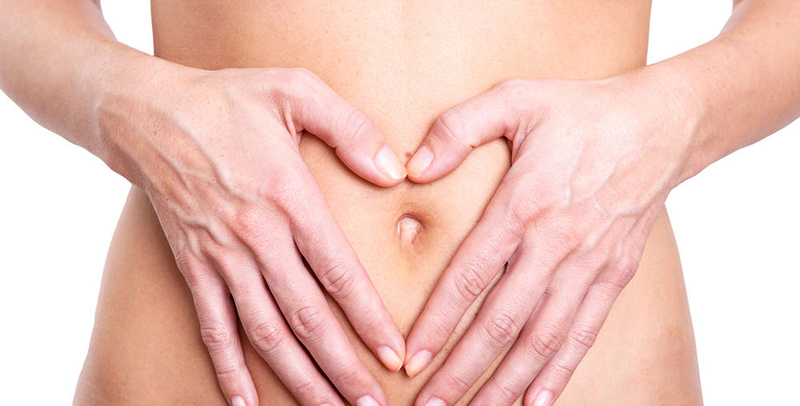 Probiotics are bacteria and other microorganisms with a demonstrated health benefit. "The results suggest probiotics might provide a more targeted method for suppressing production of IL-1beta and protecting against autoinflammatory diseases," said first author John Lukens, PhD, a St. Jude postdoctoral fellow. The research also provided key details about IL-1beta production and regulation in neutrophils, which are part of the body's first line of defense. Investigators identified the two enzymes capable of converting the immune molecule from its inactive form to the pro-inflammatory IL-1beta. The enzymes are caspases 1 and 8. Deleting both enzymes led to a dramatic decline in IL-1beta in the susceptible mice and protected the animals from osteomyelitis. The study's other authors are Prajwal Gurung, Peter Vogel, Gordon Johnson, Robert Carter, Daniel McGoldrick, Srinivasa Rao Bandi, and Christopher Calabrese, all of St. Jude; and Lieselotte Vande Walle and Mohamed Lamkanfi, of Ghent University, Ghent, Belgium. The research was funded in part by a grant (AR056296) from the National Institute of Arthritis and Musculoskeletal and Skin Diseases, part of the National Institutes of Health (NIH); a grant (CA163507) from the National Cancer Institute, part of the NIH; a grant (AI101935) from the National Institute of Allergy and Infectious Diseases, part of the NIH; and ALSAC.